there was a classic car show the other weekend and i went alone.. wandered around and took some pics just for fun. it was kinda cool! :)this is the car from the movie peggy sue got married! 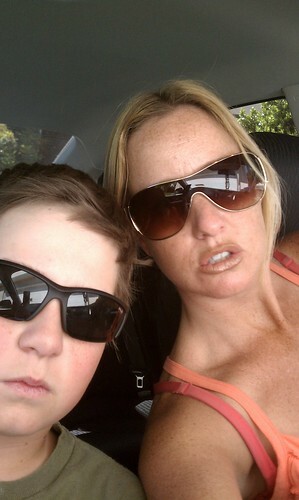 and the boy and i bought new sunglasses the other day. this are our "look mean" faces. clearly, he does the mean face far better than i do. The car show pics are cool! I love looking at pics, so keep posting. 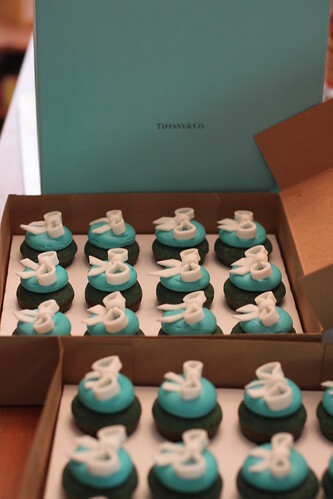 The cupcakes look soooo yummy! (I think I need a cupcake right now. )And they look so Tiffany-like. Sunglasses. Wish I could find a pair I liked. I hate mine, but keep wearing them because without sunglasses, I just can't see in the sun. My niece does a pretty good mean face.